Notice with the passing of retired Western/Delta pilot Captain Alan McKinnon has been received. Alan John McKinnon was 78 years of age at the time of his passing. 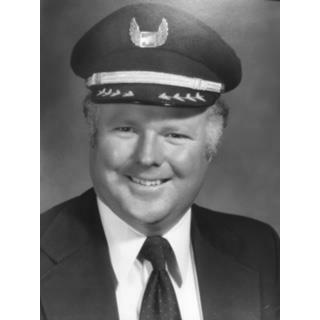 Captain McKinnon joined Western Airlines 03-14-1966 and retired with Delta Air Lines, based LAX/030. He is survived by his wife Margaret and their daughter Kathleen. Captain McKinnon’s obituary notes that services will be private. 1979 Stonesgate St., Westlake Village CA 91361-1615 ... (805) 497-4024. He was a fifth generation Californian, born in Sacramento, raised in Merced, Westwood Village, and Edwards Air Force Base. At Edwards he watched Chuck Yeager break the sound barrier and decided then and there to be a pilot. He accepted a job with Western Airlines which later merged with Delta. He was a captain for over 30 years and flew for 36 years. Alan's fellow pilots called him "a natural" and one of the best with whom they had ever flown.